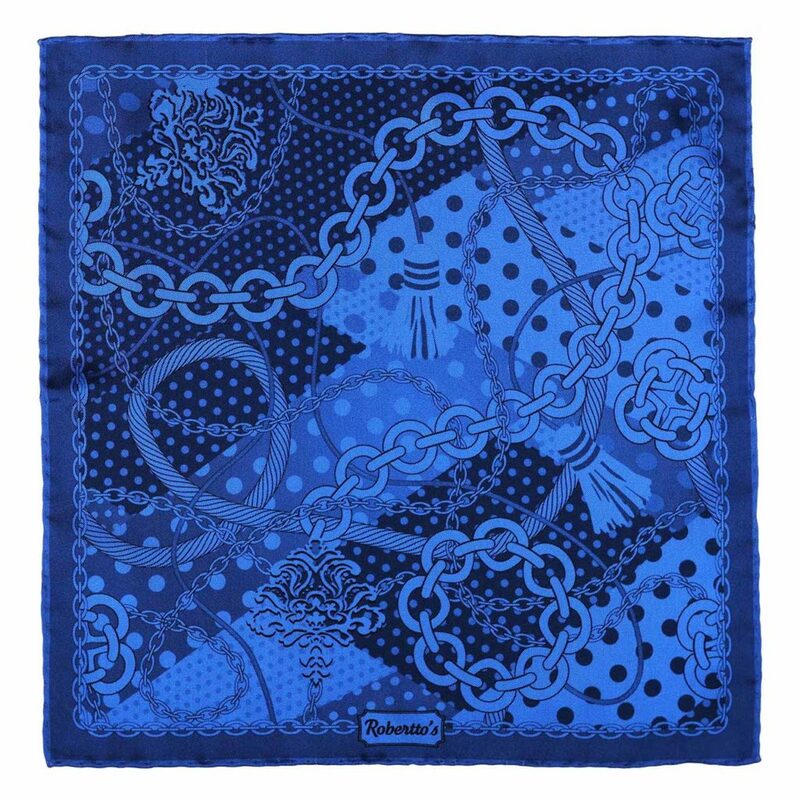 Chains can represent many things – they are a symbol which is loaded with meaning, and which can be interpreted in many different ways. 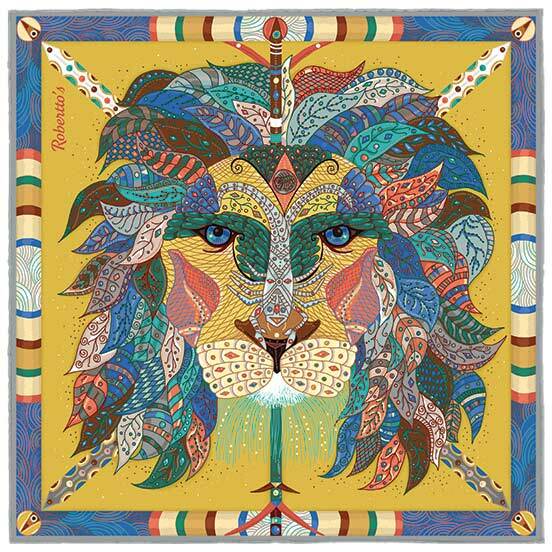 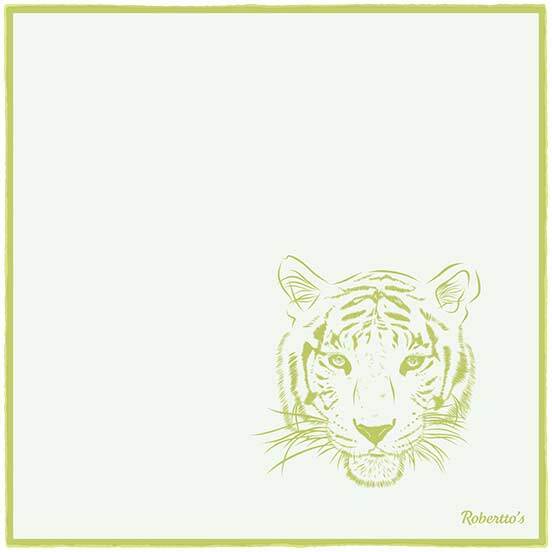 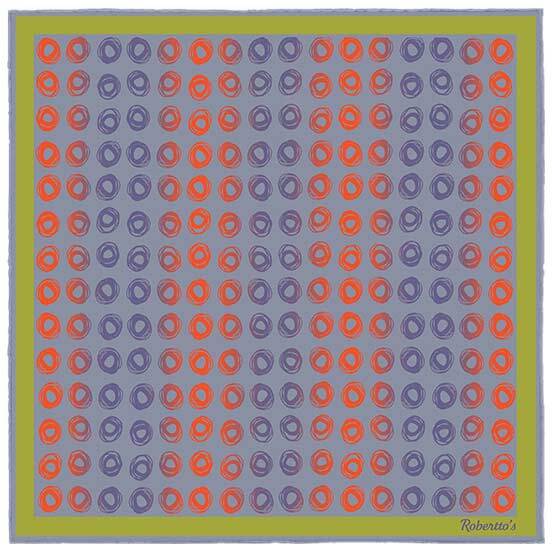 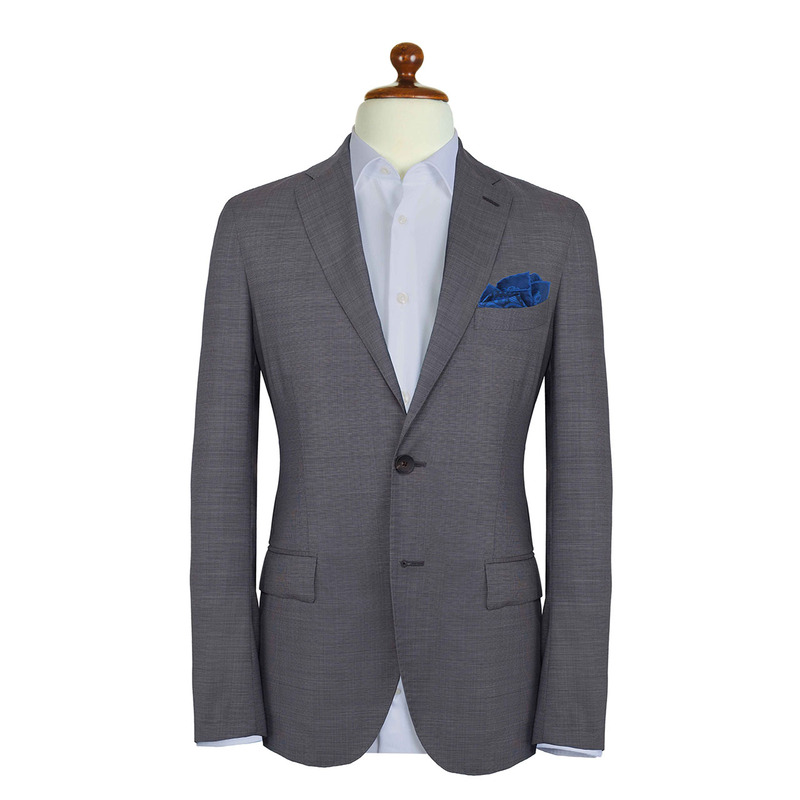 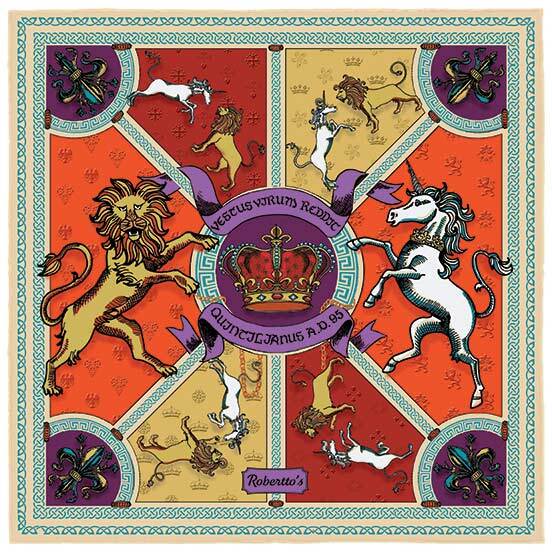 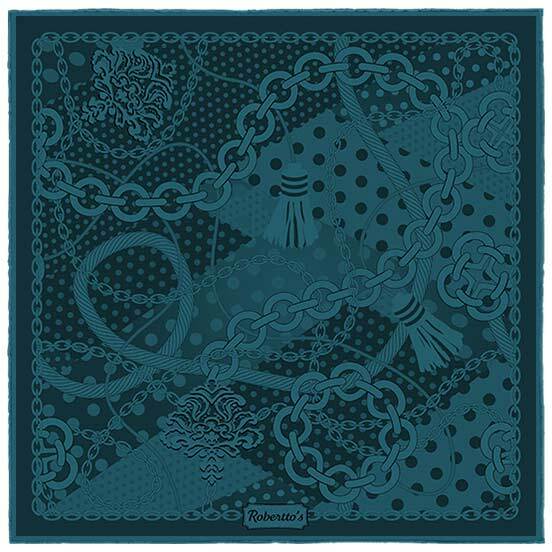 You could approach the image of the chain as something negative, as something which weighs you down and restricts you… but that could never possibly be the case with those drawn on this elegant pocket square design. 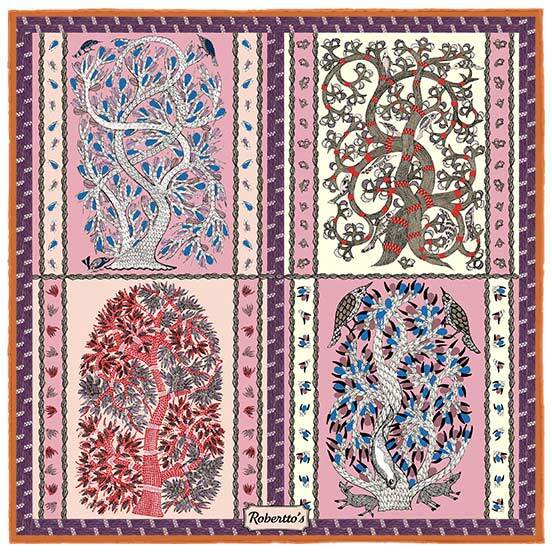 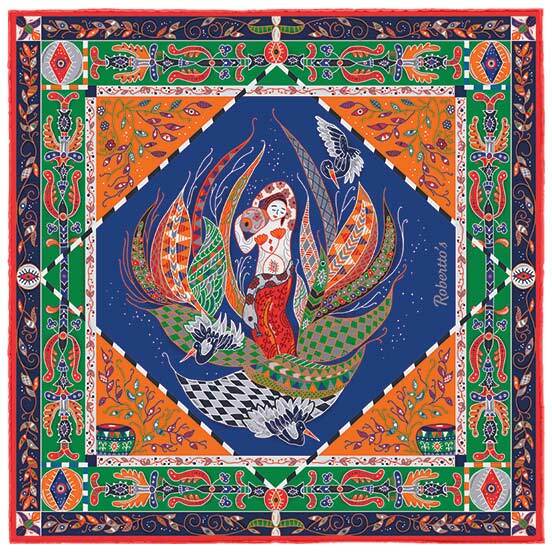 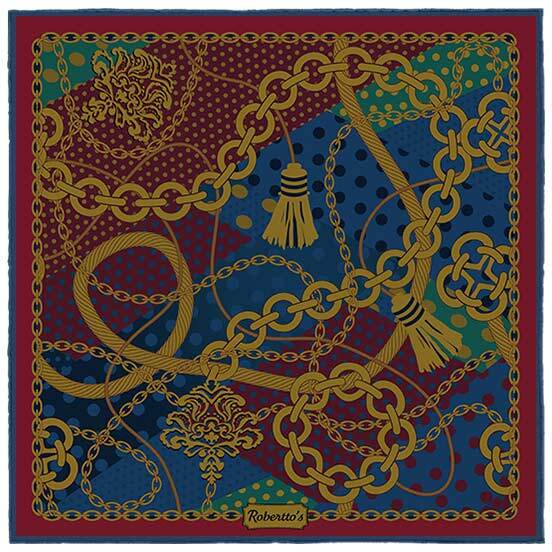 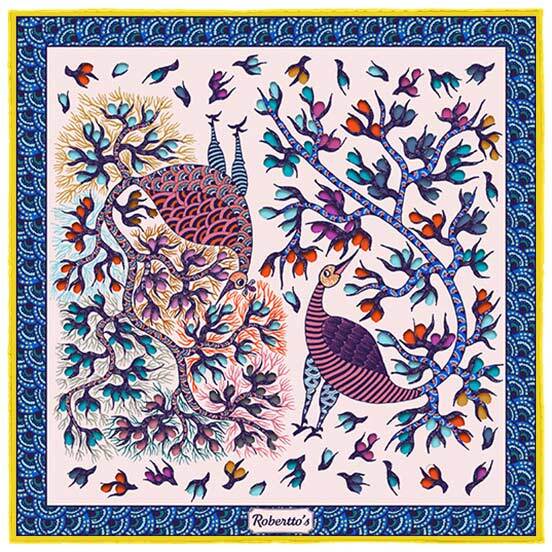 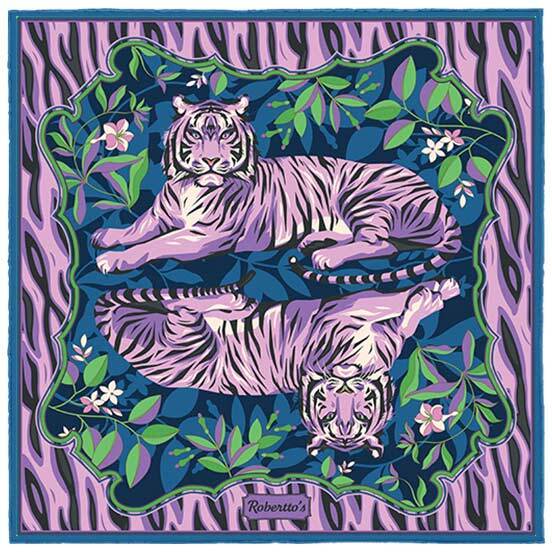 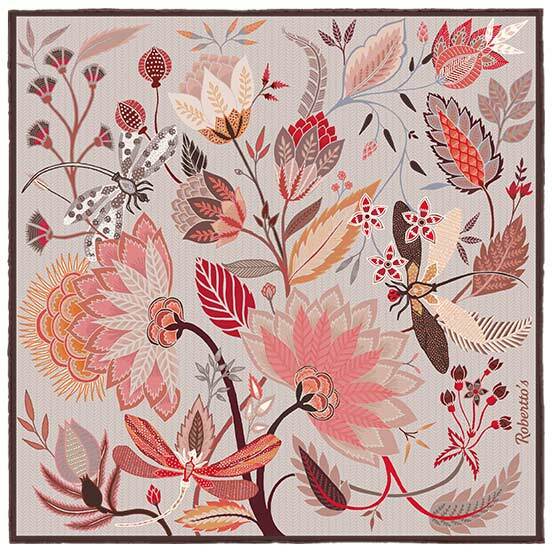 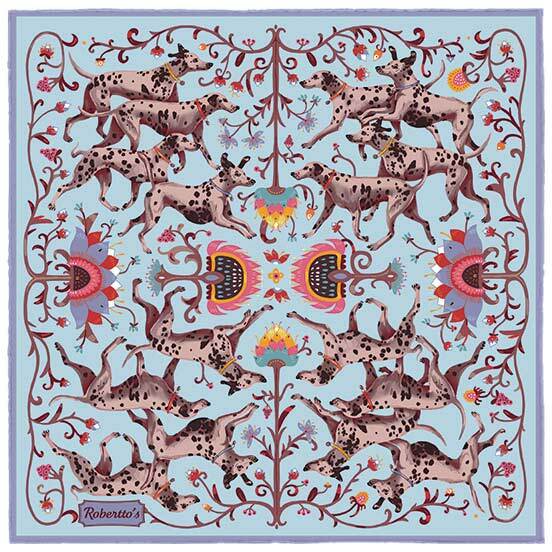 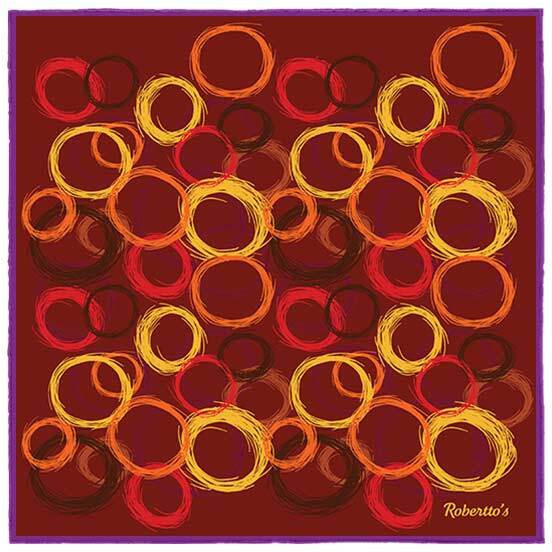 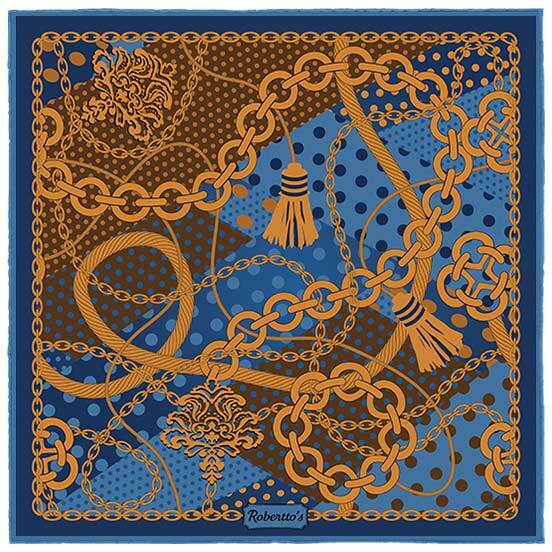 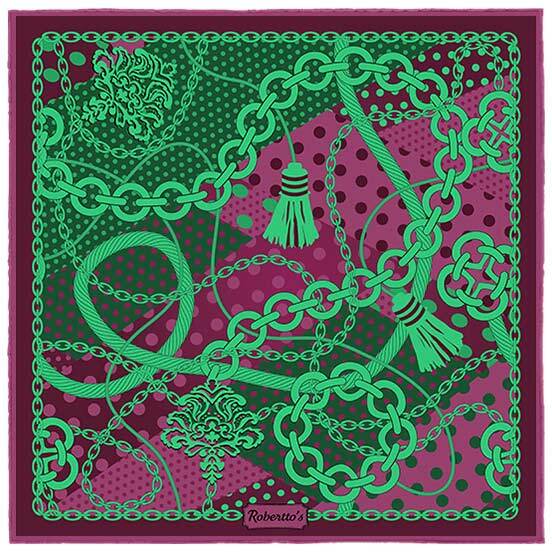 This beautiful silk pocket square depicts its chains as something light and flexible, curving and looping their way across the delicately decorated background, and carrying intricate pendants, pieces of exquisite jewelry and tassels. 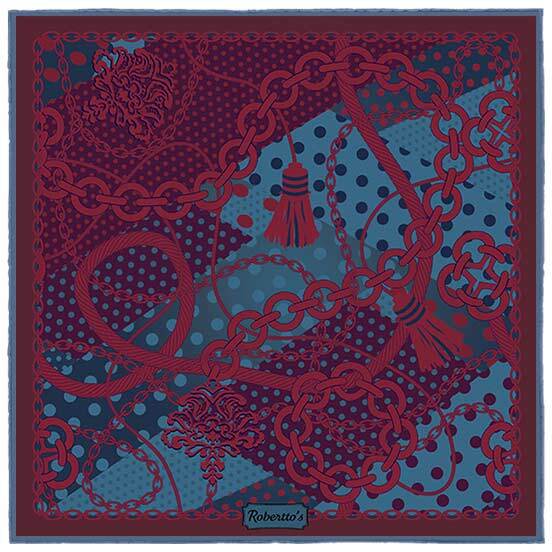 These chains are a symbol of romance – they bind one person to another, in a series of infinite circles – just as they are a motif which represents progression, evolution and strength. 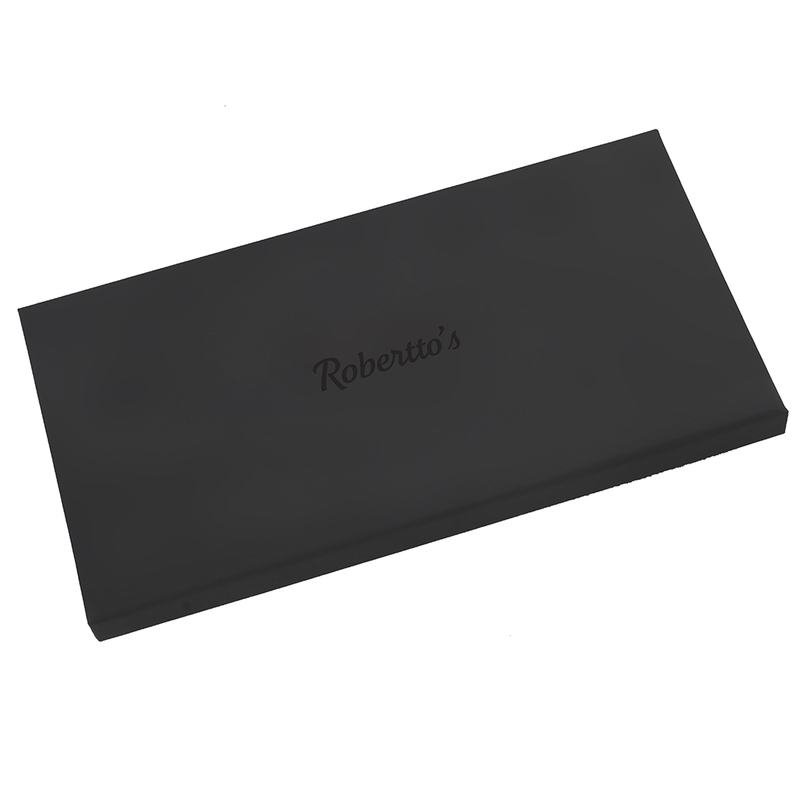 Undoubtedly, this is a high quality pocket handkerchief for those seeking that touch of old world romance, that hint of vintage sophistication and style, while staying ahead of the curves of fashion. 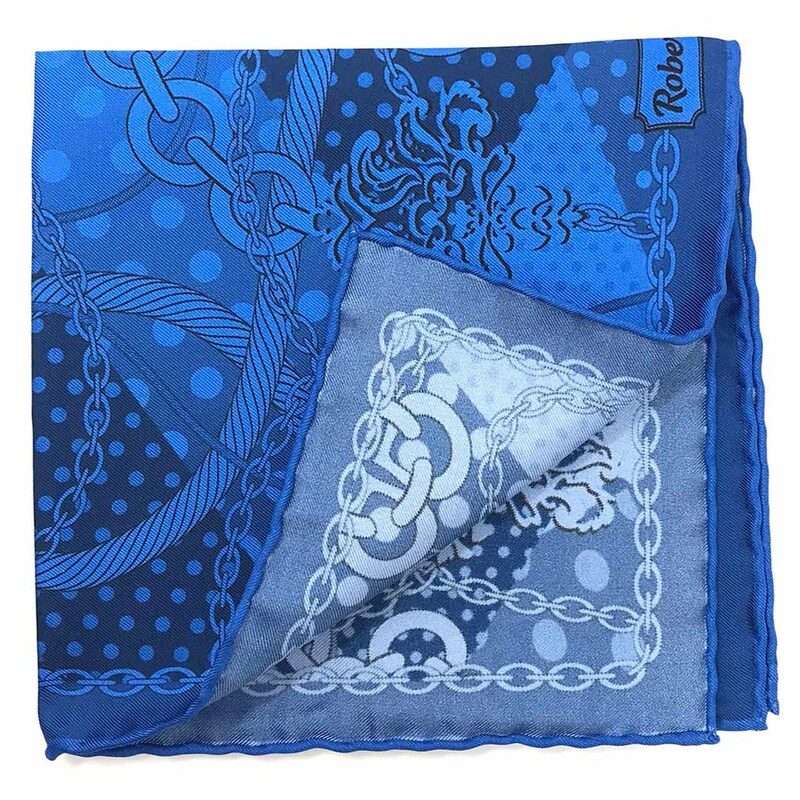 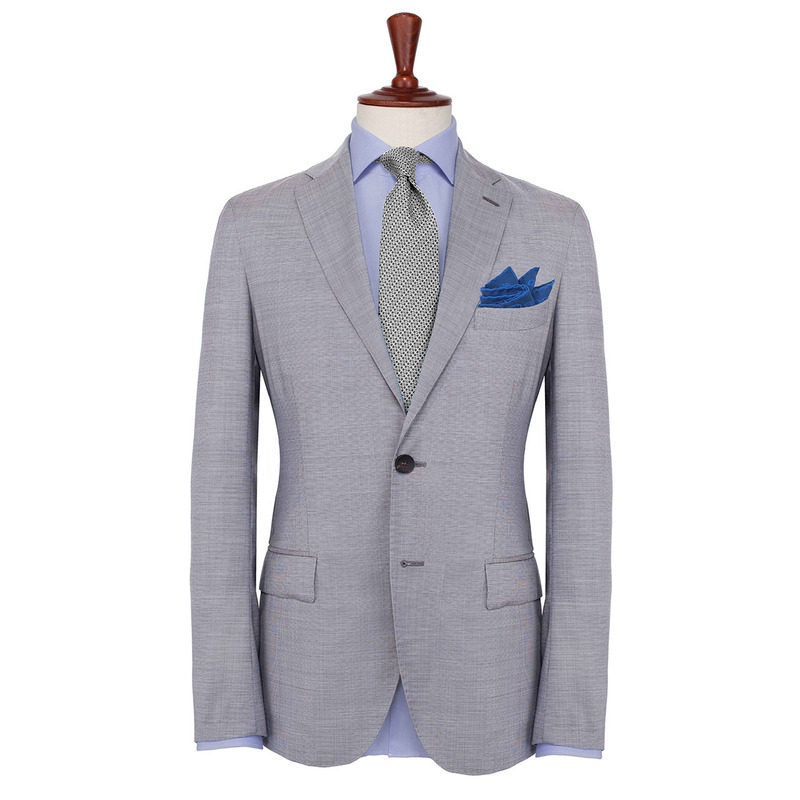 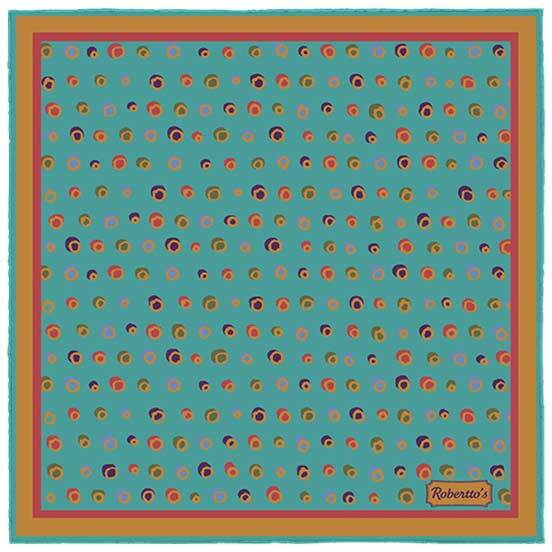 This beautifully designed pocket square is colored the most gorgeous pale blue, putting one in mind of summer skies and calm seas. 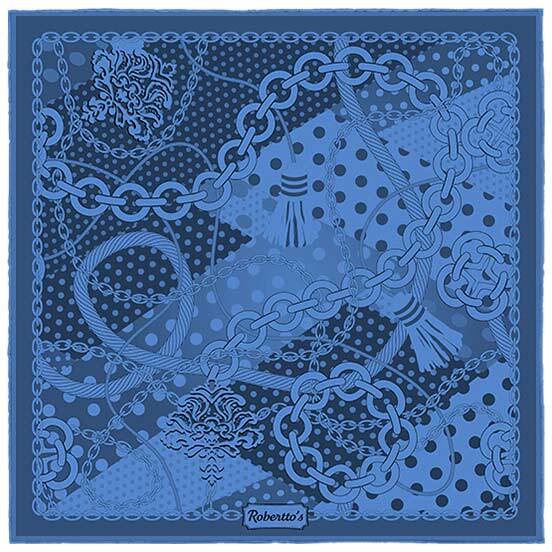 The jewelry box inspired illustration which takes up most of the pocket square is as eye-catching as it is elegant, and this, paired with the spectacular blend of blue tones, makes it a suit accessory of the utmost sophistication. 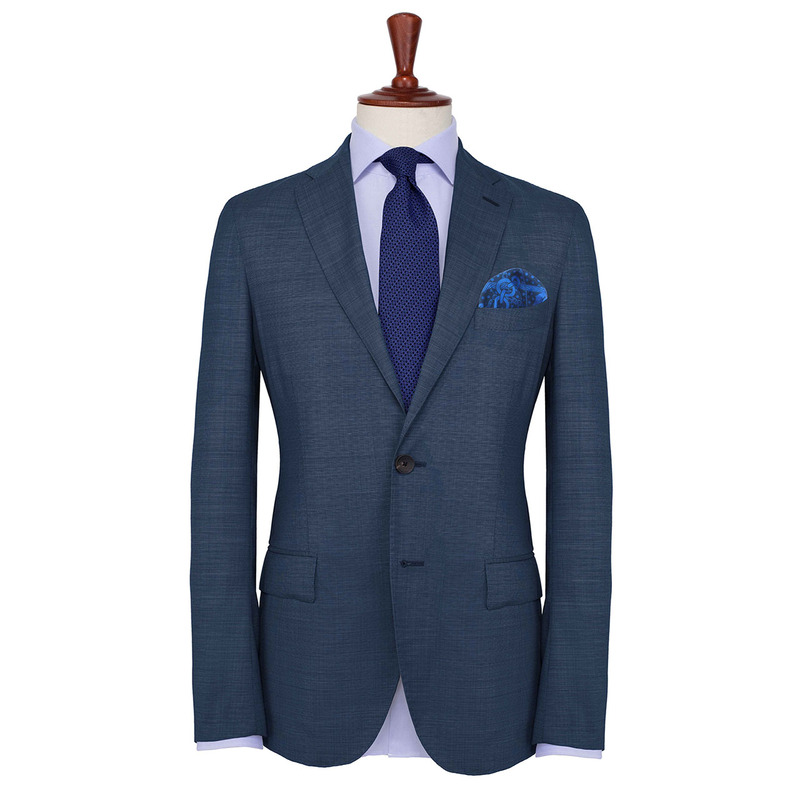 For the most stunning impact, pair this high quality handkerchief with a navy blue suit, a pale blue shirt, and a tie of navy blue and pink.